There is no doubt that Yamaha's product planning is excellent. The Japanese company has done a superb job crafting new platforms. It then engineers a number of variations which appeal to a wide swathe of buyers. No wonder Yamaha has won a number of awards in the motorcycle segment. 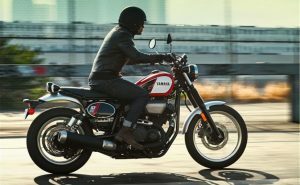 The SCR 950 is a Bolt centric scrambler which offers a radically new personality despite sharing a major number of core competence with that cruiser. To understand the SCR 950, it is important to look back and understand what was the scrambler designed for? There was once a time when off-roading means putting on two chunky tyres to your motorcycle, put on the long travel suspension prior to launch off some desert geography. Riders hailing from that time did not have the knowledge that their activities would have been better suited to 150 mph ADV motorcycle along with cruise control. This lack of knowledge can be easily explained: these things were yet to be discovered at that time. 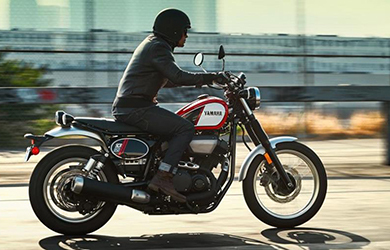 Yamaha has the expertise to build immensely affordable but incredibly fun motorcycles. Its machines make any rider to take his motorcycle out and then ride. The SCR 950 hits all the pleasure notes like no other. The SCR 950 is a bike which cannot be understood just by reading the spec sheet. The engine should be discussed first. It is a Bolt centric 942cc twin cooled by air. The engineering is heavily borrowed from a number of other Yamaha models. Examples include cylinders coated by ceramic composite plates. The list of other technologies include actuating four valves for every cylinder and the twin bore fuel injection. The overall experience is an extremely satisfying one. The SCR 950 grip the dirt roads firmly. It is only on the dirt that a rider can enjoy the wide range of power, the connected throttle response and clean fuel. All these makes the sliding of the bike through the many corners entertaining and intuitive too. The chassis design provides competent urban performance, helped by a distinguishable light handling of the bike. The bike surprisingly did a much better than expected performance off the highway. It is to kept in mind that the intention of Yamaha is not to provide the best performance but fun at an extremely affordable price. The only real restrictive factors are dual purpose tyres and an extremely basic suspension. It was not possible to adjust 41mm fork and provides 4.7 inches travel. The preload adjustable shocks provides only 2.8 inches of motion. Riding is excellent on the asphalt. However, the combination of restrictive rear travel coupled with a firm saddle means the ride quality could turn out to be quite torturous. The SCR 950 offers great enjoyment on the road through riding and not shifting the gears not more than necessary. In case you want to overtake a vehicle, the swift downshift is enough to overtake any vehicle. Best of all, hardly any effort is involved in this action.